KreweDCM is a Halloween marching club and parade krewe established 2007 in Austin, Texas. Inspired by New Orleanian neighborhood parade traditions, the Krewe du Coeur Maudit produces themed Halloween marches and parades to heighten the fun and elevate the pageantry of Halloween throughout Austin. Our events include Halloween themed marches and parades featuring walking krewe members, marching bands, large scale puppetry, bicycles, and hand-pulled and/or bicycle cart mounted floats. 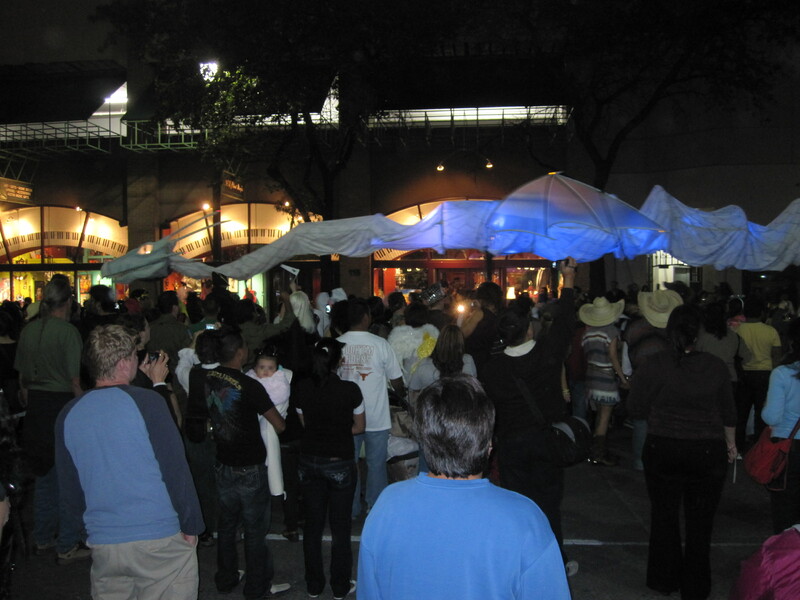 Our parades and events are staged in various residential and Entertainment districts of Austin. 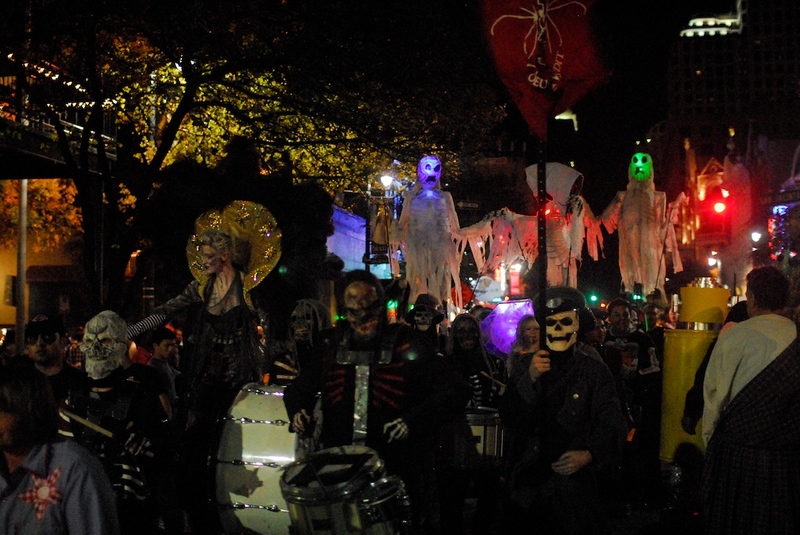 Our Halloween parades have always been held after sundown on Halloween Night. With unequaled enthusiasm, we strive to produce the best and most elaborate mobile Halloween spectacle as a free gift to Austin and its Halloween celebrants. We are dedicated to Austin and the community, showcasing the best in local visual and musical talent.